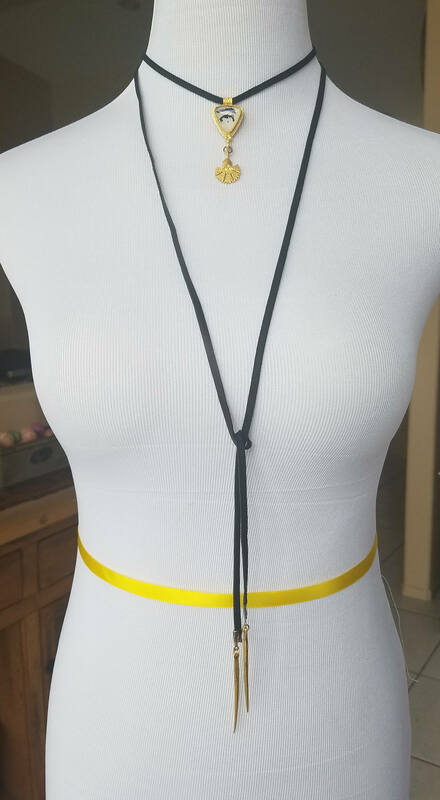 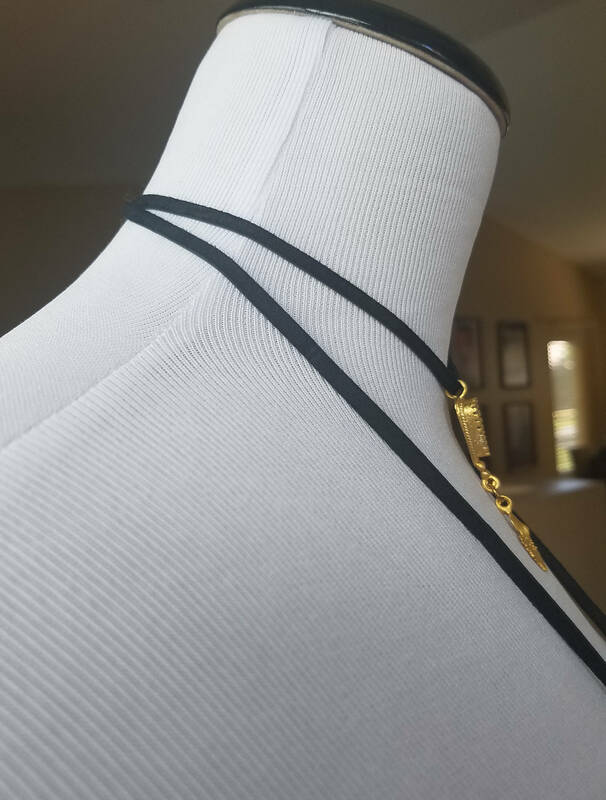 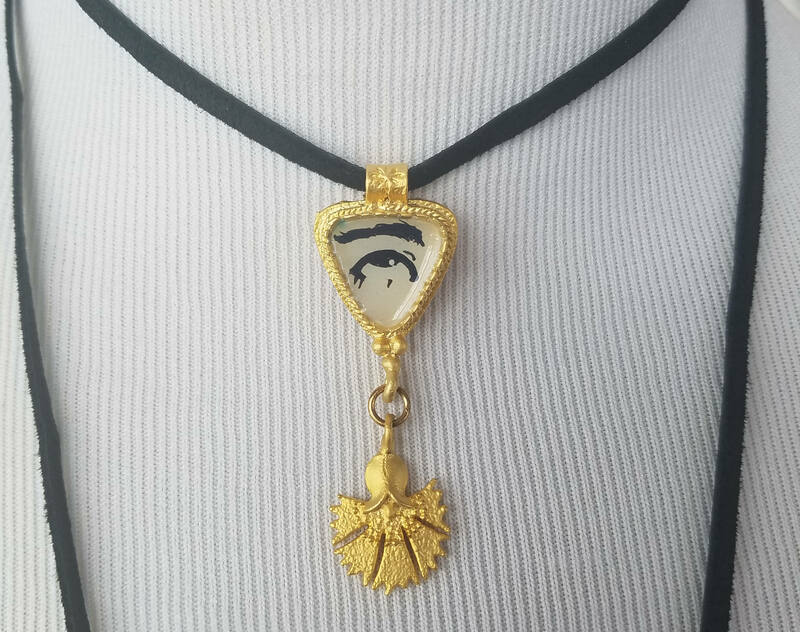 This handmade wrap choker necklace features a 22k gold-plated brass triangle, an evil eye drawn on artist grade concrete and finished with enamel, a 22k gold-plated brass flower, and distressed gold spikes. 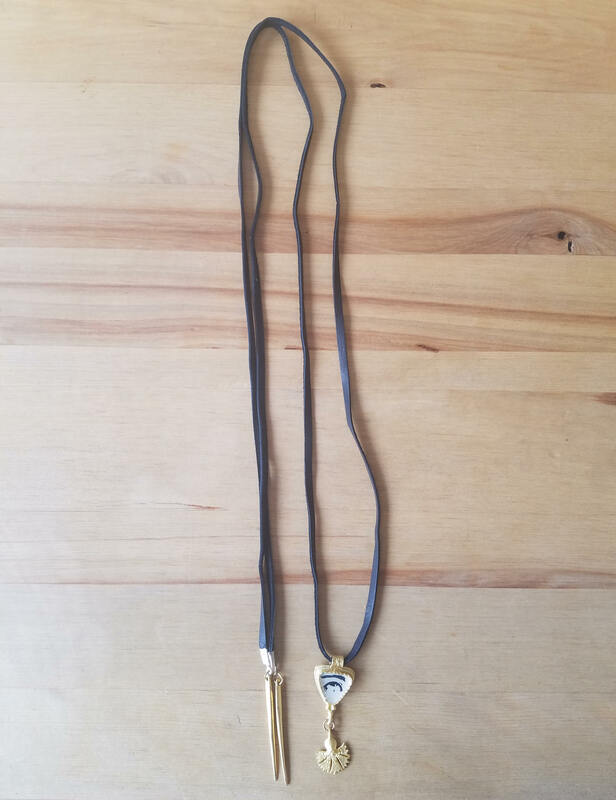 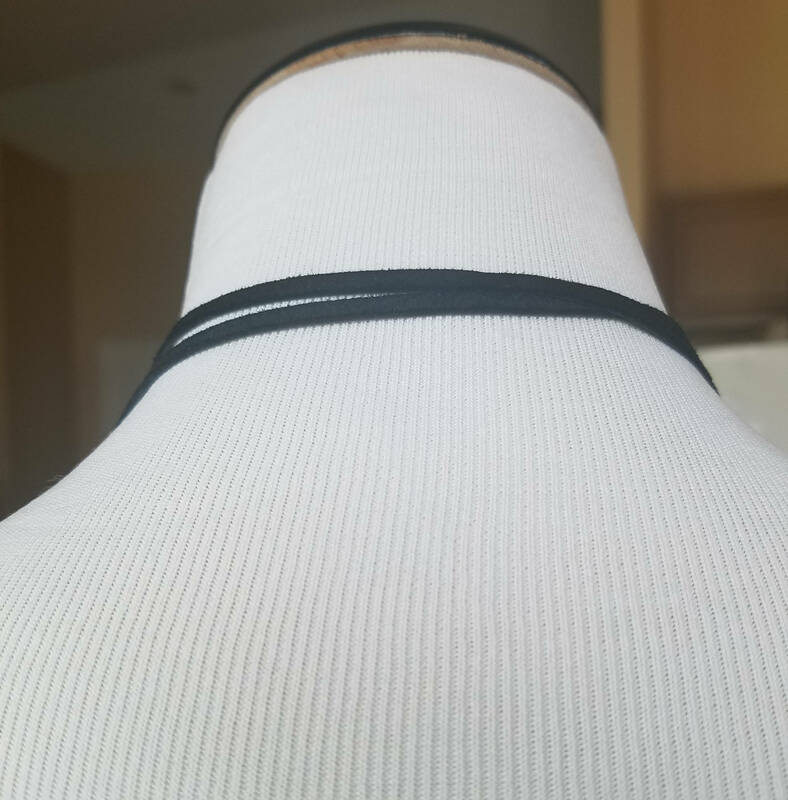 Leather chord measures 56 inches from end to end. 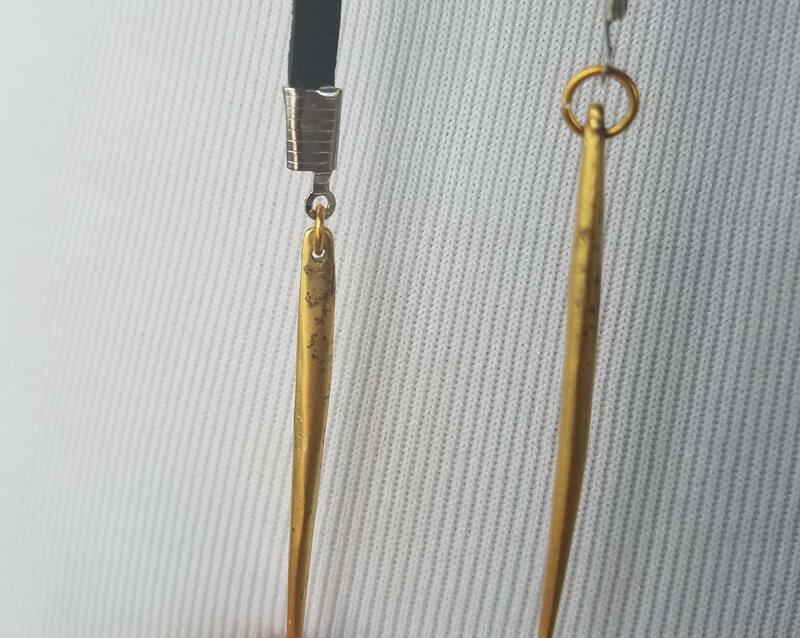 2 inch gold spikes.